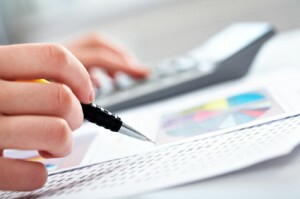 1Financials: We focus on ensuring that your financials are clear, concise and an up to date record of your business. 2Operations: Our professionals have deep business knowledge, and understand how to practical apply this to your business operations. 3Training: Training your employees to use new finance software packages can be time consuming. We have the expertize to train individuals and large groups. Below is a list of the core services that we provide. Keeping your company books can be a time consuming hassle, we can lift that weight off your shoulders quickly and effectively. When you are running your business, making sales, selling products and services, but the profits aren’t what you expecting, it can often be hard to identify where your costs are too high. We can help you ensure your business is running efficiently. Computer software can improve productivity for your company, but understanding how to get the best from your software can often be an art form. We have the expertize to quickly train you on both what you need to know, but also importantly what you can ignore, what is not important, and what you shouldn’t waste your time on. Regular financial reporting is key to making the daily decisions that management make. We can help ensure that you have a process in place to quickly report on your current financial state.